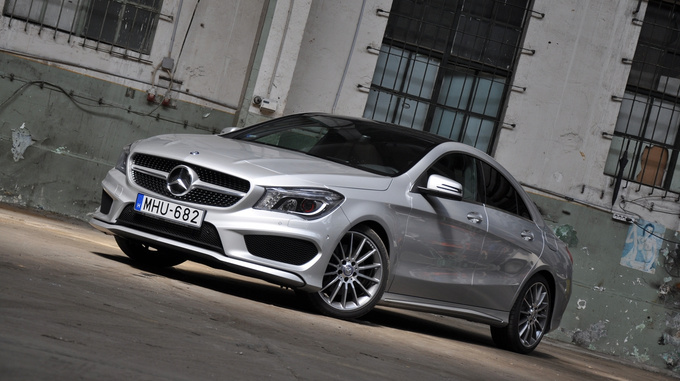 Making big waves, the CLA has stirred up the still waters of the compact sedan category, but what is even more surprising than its shape is the fact that it’s good to drive. 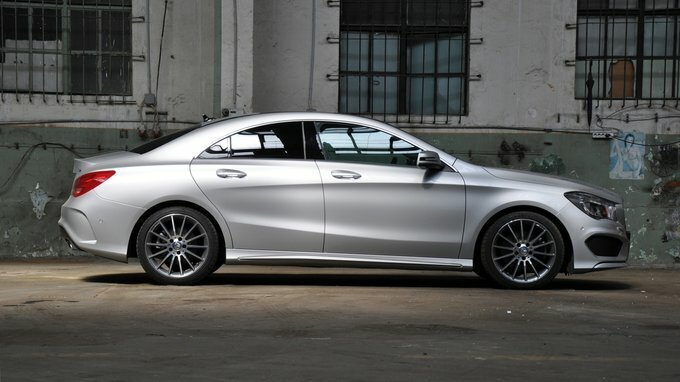 You can beg to differ, you can call it hideous, but the Mercedes CLA has caused such a draught in the stuffy morgue of sterile-shaped compacts that we can't keep grabbing fast enough at the A3 sedans and Jettas it keeps blowing out of the window. 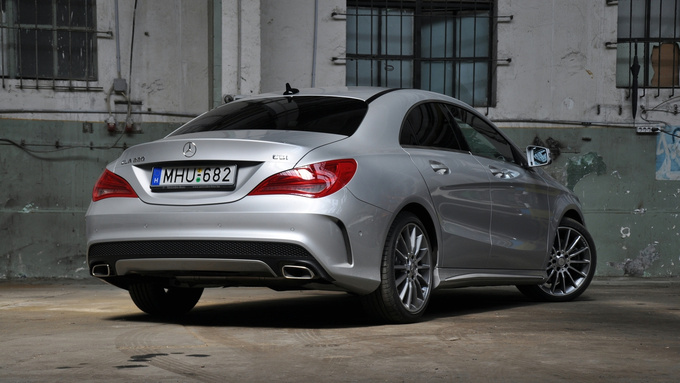 As journalism is a subjective genre, I can declare without the slightest scruple that the shape of the CLS is bang on. It doesn't look awkward or imprudent from any angle. 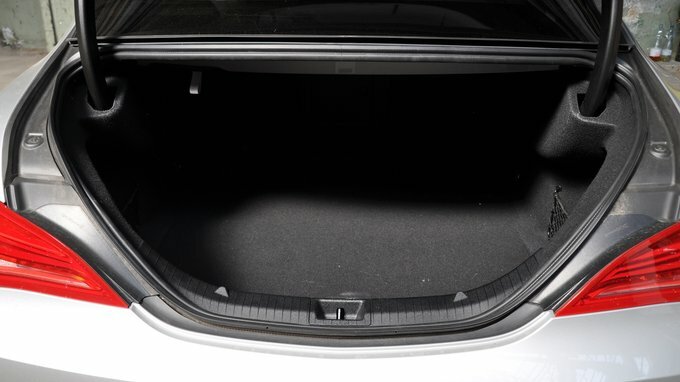 It is tricky, though: the slanted luggage boot isn't so slanted after all, the front of the seemingly flat car is actually long and high, and the car is not small: it's more than 4.6 metres long. It does, however, feature such an interesting interplay of convex and concave surfaces that there's always a spot of sporty elegance to discover, like in the shop window of a Milan fashion house. The size is misleading - don't go looking for head space in the back, there isn't any. 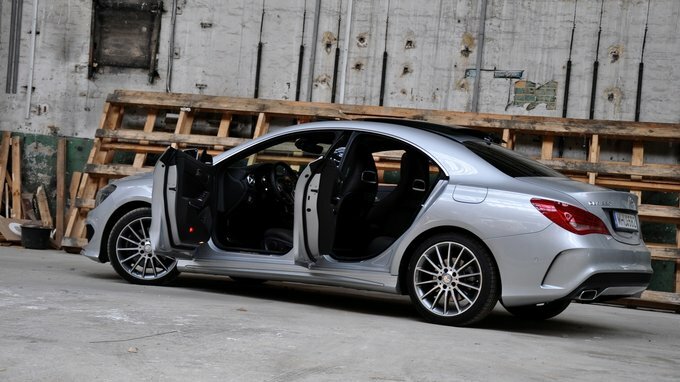 Only girls sit in the back anyway, who are drawn to it like moths to the flame, not just because of the optically convincing AMG package: the basic shape of the CLA came out well. So much so, that you lose your interest a little when you find out that the engine compartment is hiding a not quite 2.2 litre, four-cylinder turbo diesel engine. What's more, it rattles rather loudly in the cold, and I can't shake my conviction that a four-cylinder diesel engine is not suitable for a Mercedes. Save that for the trucks. In two or three days you get used to the sound. It gets much more quiet anyway once it heats up, but you can't help but wonder: what is the CLA45 AMG like, fitted with a proper, fire spitting, 360 PS engine and four-wheel drive? Because this little Mercedes has front-wheel drive, you see. This may be some piece of information for those who think every BMW is a pleasure drive simply because it has RWD - which is nonsense, obviously, but few minorities on this planet are more headstrong than the BMW troll. The thing is that even BMW could become envious of the suspension working beneath our test car. Without any extra charge, future owners can choose between comfort and sport suspension. We were fortunate enough to experience the latter combined with a well-chosen AMG package, and together the two made for a very agile and precise result. The last thing I felt as spot-on as this was the Focus RS: it didn't hit our spines passing a manhole like a rigid M-Packet BMW, but didn't swing and go soft like an Audi S3. It has very good traction. You do feel the bumps on the road, but the shock absorbers and the springs take up the unpleasant hits and the car stays under our control rather than skipping half a metre at every dilatation gap. 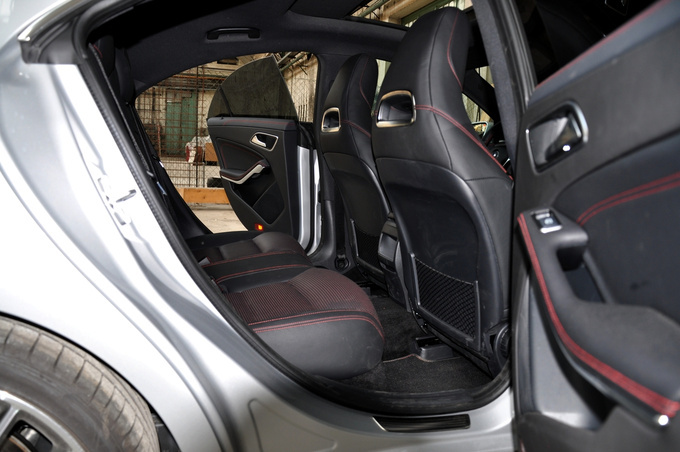 The AMG seats are not overly emphasized by all kinds of labels or dramatic bumps, they simply hold the body perfectly. The grip of the steering wheel is very good, the seating position is flawless. It might even turn out that somebody at Mercedes actually considers transportation a pleasure, not just an annoying necessity. Just imagine: even the brakes apply perfectly, the suspension easily exceeds the limits of the engine and the drive train. It has got potential. I have no idea how they did it, but to my surprise this Mercedes is good to drive. Both in a sporty and in a relaxed manner, although it must be mentioned that the double clutch automatic gearbox is clueless as to what to do with the diesel engine in sport mode. It unnecessarily forces it into a territory where it loses all its power, although the 170 PS and the 350 Nm are widely accepted values nowadays, giving acceptable dynamism. Of course, it does have minor flaws: the graphics of the display tacked onto the top of the centre console is hideous and its operation is not as obvious as that of an iDrive or MMI system. What's more, it attracts dust like a magnet and can be difficult to read in direct sunlight. The wonderfully sewn, good-quality leather upholstery is reflected from the top of the dash panel directly in the windscreen, and the luggage boot may be over 450 litres, but its opening is narrow, making packing difficult. But this is not the car you buy for a starting price of €48,000 and equip with every extra under the sun to take on a family outing. 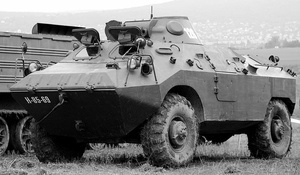 No, this is a real image car and as such, it delivers. It has a unique shape, it is elegant, and it carries the star on its nose. Now it's good to drive, too, which has only added to its value. A powerful petrol engine and a good all-wheel drive is all it needs, and it will give a surprise, believe me. I've never been particularly interested in any Mercedes, but I liked this one. Yes, I was just as surprised as you are now.